self-esteem, and compassion to become productive citizens of Kenya. Who are the Children of CUSP? 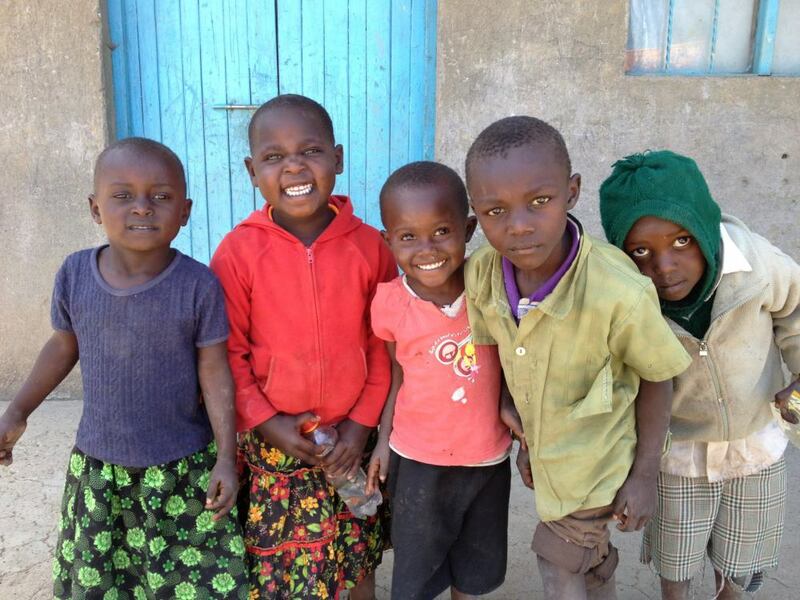 Many of the children of Upendo Village have lost one or both parents to HIV/AIDS. Some of these children are HIV-positive as well. The children in CUSP range in age from 3 ½ to 20 years old. They are frequently being raised by other family members who may not be able to afford to take care of them or send them to school. Consequently, these children are receiving an intermittent education. Karen Claeys and Mary Rittmann are both retired teachers whose children are grown. by Sr. Florence Muia. She explained and showed with a photo-laden PowerPoint presentation how HIV and AIDS were affecting the people in Kenya. Upendo Village was her vision to address this epidemic. for many children to care for their sick parents or the need for eldest children to raise younger siblings where both parents have died, which is a common situation there. We listened in total silence. When Sr. Florence was finished, we turned to one another. I heard myself say to her, "We're going there, aren't we." And I heard her respond simply, "Yes." 100% of your donation goes towards direct support of the sponsored child. The process begins when you select a child to sponsor. You will receive the child's photograph and biographical information. After your sponsorship donation is received, you can begin writing to your child. In return, you will receive school progress reports and letters whenever possible.